Content marketing is the foundation of a successful digital marketing strategy. Consistently delivering relevant, valuable content can garner new leads and keep your existing audience engaged. In fact, Content Marketing Institute reports that content marketing generates more than three times as many leads as outbound marketing while costing 62% less. But as with all aspects of digital marketing, content marketing is always evolving. To get a handle on what’s hot and what’s not while the year is still young, we asked some of our favorite marketing experts for their opinions on content marketing trends for 2018. “What’s in is content that matters, and that feels alive. “It’s getting harder for businesses to connect with people through content, even though it continues to be increasingly important to do it well. “When you put out content that matters –content that’s actually useful, that speaks to what your audience is most interested in, that delights as much as it awakens– you put out content that will attract people and inspire them to share it. “Live video will continue to change the game for everyone, from enterprise to small business to solo entrepreneur. It’s easy to do (though not always easy to do well), and almost impossible to ignore. It’s how brands speak to people as people and help people feel connected to what the business is doing –not just how it’s marketing. “What’s out is content that feels manufactured, that values quantity over quality. “We’ve hit a moment in time when people are so overloaded with content, especially content that is published for the sake of being published. Or that overpromises and underdelivers (think the ’60 days to 6 figures’ varietal). “Businesses can no longer rely on quantity over quality. “Don’t just publish five new blog posts a week and three Facebook posts a day. Publish less and make every piece great. “Content marketers are realizing that the strategy of producing a ton of content in the hopes that one or two pieces will hit the mark is a waste of both time and money. To support this, a 2017 BrightEdge survey found that 71% of marketers said that less than half the content they produce is being consumed by their audience. “It doesn’t matter how great your content is if your audience isn’t finding it and using it. “In 2018, marketers will focus more on a content strategy that combines promotion and distribution with their production goals. “With the changes Facebook is making to the newsfeed, businesses are going to struggle to get their content seen by the usual ‘go to’ audience. “Ephemeral content is where I see a shift taking place, digital marketers are going to become savvier, and they will have to create a FOMO (fear of missing out) to gain solid exposure/interaction. “Video content is also king in 2018, it has been king for a few years, but 2018 will be where we see it cement itself in our newsfeed on platforms like Facebook. What’s In in 2018 for Content Marketing? “A multi-pronged approach. It’s not enough to publish blog posts or update your business’s Facebook page. By using multiple tactics concurrently, and in a complementary way, you’ll be much more successful with your content marketing. Specifically, I’d recommend blogging, organic social media, social media advertising and email marketing. “Video. Last year, more than 500 million people were watching videos daily on Facebook. That trend is growing, too. It’s estimated that within the next four years, video traffic will account for 80 percent of all internet traffic. Facebook Founder Mark Zuckerberg has made it clear that video is a priority for the social media giant too, weighting videos (especially live videos) in its algorithm. This means brands need to continue investing in video, specifically live video. “Longer, quality blog posts. Google is prioritizing websites with longer, higher quality content over those with a higher quantity of shorter articles in an attempt to provide better results for users. Because of this, it’s important brands invest in longer, well-written, helpful blog posts as regularly as possible – ideally at least once a week. “Social media advertising. It’s becoming harder and harder for brands to see social media results from organic social media alone; it’s important they invest in at least some advertising to remain visible in users’ feeds as algorithms continually change. “Establishing consumer relationships. Rather than focusing on traditional marketing tactics, it’s important brands take the time to focus on helping their customers, building a rapport that goes beyond “buy my product or service.” By establishing a relationship, you foster brand loyalty and awareness, so they come to your company first when they need what you’re offering. Show off your business’ human side to establish a connection, and be helpful, pleasant and responsive to their engagement. 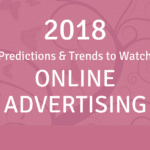 What’s Out in 2018 for Content Marketing? “Relying solely on one tactic. You can be the most amazing company ever when it comes to creating videos or blog posts, but if you don’t have a social media or email marketing strategy to support that content creation, it will be hard for your target consumers to find, rendering your efforts unsuccessful. “Traditional advertising. Rather than ads that tout a business’ products or services, consumers are responding better to those that play on their emotions. Think about ways to make a connection between your brand and your target customers through ads that are humorous, nostalgic, heartwarming, etc. Emily Sidley, Senior Director of Publicity at Three Girls Media, Inc.
“Live video is definitely in – it draws in the consumer and engages them from the start, particularly if the creator is being responsive to the audience. “2018 will continue to show that website or blog opt-in freebies are a highly effective way for marketers and business owners to grow their email lists and deliver valuable content to people who you already know is most likely to engage with you beyond the initial download. “By providing a downloadable checklist, report, template, art print, etc., you are identifying yourself as an authoritative voice in your industry and are establishing trust immediately. By capturing their email address, you have a data point by which you can continue to reach out and move your readers up the value ladder by selling other digital products, e-books, courses, packages, or services. “Rolled out in 2017, Facebook Groups for Pages will rapidly pick up steam this year and will become an absolutely critical method for brands to connect with fans in a highly-engaged, and more controlled, setting. It’s the perfect way to identify superfans/brand ambassadors, and a way for brands to show transparency and communicate directly with fans. Empathizing with their pain points or passions, discussing with them, giving them missions and calls-to-action. There are infinite ways in which brands can utilize this tool to their benefit. 2018 will be the year of the podcast. With Spotify now offering a Podcast channel and with it being easier than ever for content creators to produce their own shows with nothing more than an iPhone, this method will continue to kill it. It also offers another medium for brands to establish themselves as an authority in their industry. “Truly engaging content. With the changes to Facebook algorithms, it’s even more important for your content to resonate with your followers and evoke more than just a reaction from them. Gone are the days of posting something smart and getting attention because everyone gave you a thumbs up. “Start conversations with your content. Inspire a response. Engaging content will start discussions that will position you to continue to help your online community solve problems. “Content that tells a story. When was the last time that you did something because of a story that really hit home with you? People buy and donate with emotion, so anytime you can wake that up by using story, the more memorable your content will be. However, I caution you not to end up with the bad kind of story (see what’s out, below). “Video content. Love it or hate it, video is a vital part of your content marketing program. Whether you use live video or shoot a short video, getting in front of the camera is going to make sharing your ideas much easier. As an added bonus, it’ll help you with your public speaking skills. “Epic novel content. Story is great, and I love it, but you don’t want to get stuck in TL;DR land because you chose to go Lord of the Rings with your latest blog post. People’s attention spans are shorter than a goldfish. If it takes more than 3 minutes to read, you’ll need to be incredibly captivating to make that content count. “Engagement bait-y content. If at the end of your post, you have to specifically ask me to comment, you didn’t do a great job getting me to engage with it. “In 2018 what’s ‘in’ for Content Marketing is batch-processing and re- purposing! We know that blogging and social media are both important for SEO and relationship-building, and unfortunately, they can each be very time-consuming. The good news is, you can save a ton of time by developing a plan to batch-process and re-purpose your blog content to work across all of your favorite social media platforms. “Creating great content in unexpected places – including ‘boring’ transactional interactions like shipment notifications, subscription reminders, and even unsubscribe pages. “What’s out in 2018 for content marketing is clickbait and comment bait. “Not only is Zuckerberg (and the other big players in social media) putting his foot down on posts and content that bait audiences into engaging or clicking links, such as ‘tag a friend who should take you here!’ or ‘see these 12 potatoes that look like celebrities,’ but audiences are growing weary also. “After the Logan Paul downfall of 2017, where he was publicly slammed for showing the body of a suicide victim on a video to get views, audiences became more and more dissatisfied with these kind of tactics; it was an eye-opening experience for everyone. “If businesses, brands or everyday people want to make an impact on social media with their content marketing, they’re going to have to work hard for genuine engagement and interest or face Zuckerberg’s wrath. How do we do this? “One of the big changes we expect to see with content marketing in 2018 is a greater emphasis on crowdsourcing content creation. “Instagram and Snapchat, two of the fastest growing brands in social media, gained much of their success from allowing users to create their own content with the help of easy-to-use filters. By letting users create the content, they also take greater ownership of the content and are thus much more likely to share it. “There is a tremendous amount of content out there. It’s easier than ever to use an iPhone and launch your own video series or spend 20 minutes building a blog. As businesses compete to be heard, the businesses that actually add value will be heard over the loudest businesses. Focus less on clickbait headlines and more on articles and videos that actually teach new skills or offer less-heard insights. “Here is a fascinating stat. In the last five years, brands have increased their blog production by 800%, according to TrackMaven. Yet, organic social shares of that content decreased by around 89%. This suggests more content isn’t the right strategy. “The web is flooded with content. Lots and lots of content. Every social media channel is awash with endless ‘news’ posts and promotions in the form of content marketing to try and turn heads of people a business wants to target. It’s reached way beyond a tipping point. “Moving forward content is going to have to be far more savvy to device type – especially via mobile, and search dynamics that have changed the way we browse – especially via voice and video. The way we want to consume content has changed irreversibly. “Which means we need to take a step back and consider the following… Audience, Device, Search Intent. “No one wakes up in the morning and says, ‘I wonder what new services X company has rolled out lately.’ But they do wake up worrying if they’re going to be impacted by the latest news or regulatory change in their industry, what they would do if a key member of staff left, and definitely how they’re going to squeeze extra money out of their already strapped budget. “The best are far more refined, they know in content marketing today LESS IS MORE. They aren’t salesy. They understand the funnel above. “Looking at the above diagram, most visitors are at the top or middle of the funnel. They’re not ready to buy yet, and they are turned off by thinly disguised sales copy. What they want is a mixture of helpful advice, thought leadership, and general news to help them make decisions/do a better job. “People want to feel in control of their own decisions. They want to research and make their own informed choice. With mobile first indexing, the rise of voice search and fact video has become the No.1 format means adapting content for this funnel is essential. “In 2018, we need to position content for mobile, for voice search AND text search. We need to package it not just in words. And we need a LOT more content for an ‘Awareness’ stage audience than we do ‘Consideration.’ A lot more for ‘Consideration’ compared to ‘Conversion,’ and so on. “Content marketing has changed. We need to resist the temptation to just churn out content. We need to simply educate and promote brand expertise. People will come in their own time. Crucially we need to do all this with content tailored to mobile consumption, savvy to voice and text-based SEO, and a rich mix of media types. Writer, editor and client advocate specializing in reputation management, content marketing, technology and non-profit topics.